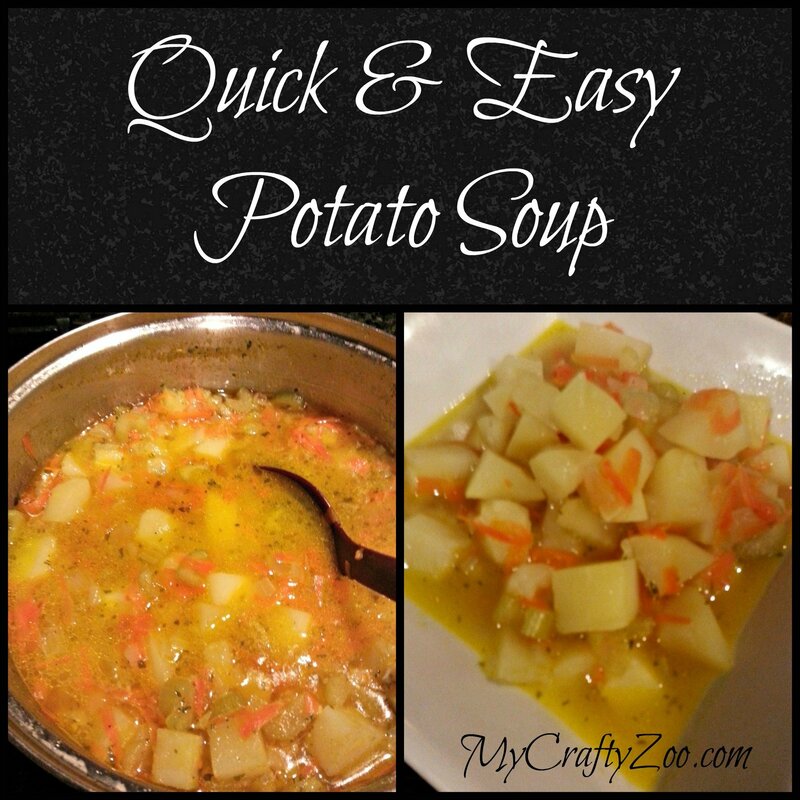 Whether it’s freezing outside or you just want some delicious comfort food you’ll love this Quick & Easy Potato Soup! Unfortunately, not everyone has the time (or the desire) to spend hours and hours cooking a good homemade soup. Fortunately, this one only takes an hour and is fabulous! Also, it can be made completely dairy free, which is fabulous! 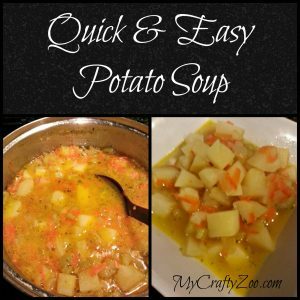 Not a lot of dairy free potato soup recipes! Hope you enjoy it! Melt butter in large saucepan (I used the pot to avoid extra dishes). Add onion, saute until soft. Add stock, potatoes, carrots, salt, pepper and parsley flakes. Cook until all vegetables are tender. Roughly 15-20 minutes. ← Update Your Space with Latest Bedding Home Decor Today!